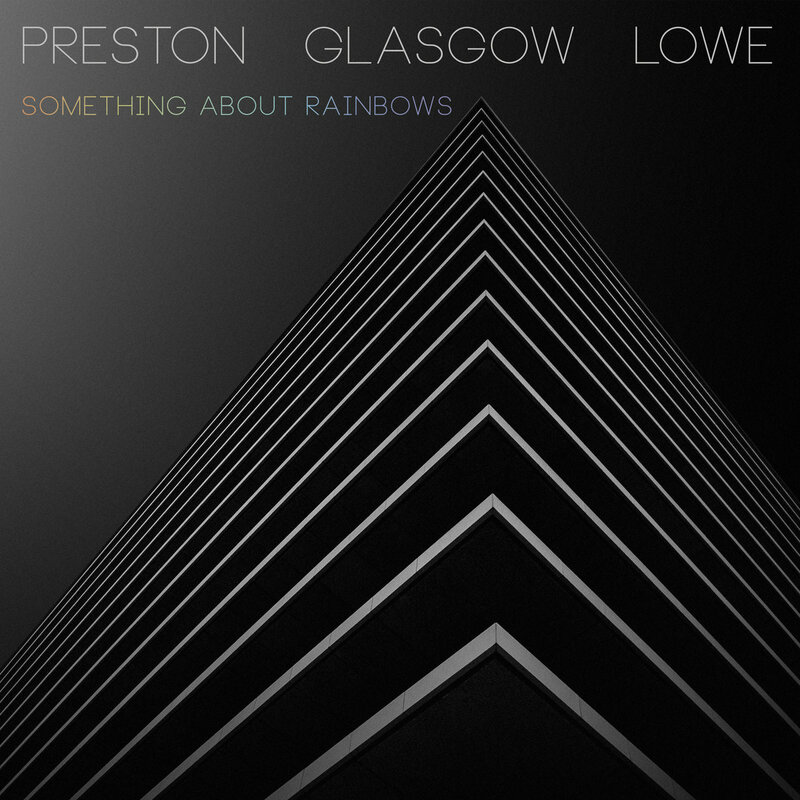 Riding the loftiest cirrus of boundary-leaping improvised music, guitar fusion trio Preston Glasgow Lowe follow up their eponymous 2016 Whirlwind debut recording with ‘Something About Rainbows’ – a prismatic collection of original compositions which combine intricate, thunderous energy with aesthetic, harmonic grace. And while LA-based photographer Josh Rose’s minimal ‘industrial rainbow’ cover art reflects the album’s often darker vibe, guitarist David Preston, sixstring bassist Kevin Glasgow and drummer Laurie Lowe also uncover fresher sunlit colours in their latest writing and experimentation. The technically precise, unclassified artistry of Preston Glasgow Lowe resonates with wide-ranging audiences, and the trio responds enthusiastically to live performance invitations from as far afield as Japan. There’s certainly sonic gold to be found within ‘Something About Rainbows’.